Having dedicated much of her working life to supporting other Aboriginal people into business and promoting the many benefits of self-employment for Aboriginal people and communities to state and federal government. Deb has many achievements, including leading the development of a national network of Indigenous Chambers of Commerce in Australia starting with the first in 2006 and finishing with the Peak Body in 2015 being the First Australians Chamber of Commerce and Industry which today represents over 4500 members. In 2010, she received the NSW Premiers Award for Excellence for her work in NSW Aboriginal Communities supporting local economies, was selected to MC the World Indigenous Business Forum with Jeff McMullan and in 2016 Deb Led an Australian Delegation to the National Minority Supplier Development Council Conference in San Diego. The Delegation was endorsed by the federal Minister for Indigenous Affairs, Minister for Small Business and Minister for Trade and Investment. Delegation Members included the Australian Small Business Commissioner, leaders in Corporate Supplier Diversity and Export Ready Aboriginal and Women-owned businesses. Deb is a respected advisor to State and Federal Governments regarding Aboriginal Employment and Procurement policy and has delivered Procurement Policy Training Nationally. Other achievements include Debs success as a business owner. She has established a number of highly successful businesses including Quambatook Guest House and Winya Furniture. Both of these enterprises have won prestigious Awards and create quality employment pathways. Jeremy Donovan is a well known and respected Entrepreneur and role model Nationally and Internationally. From a place of personal experience, Jeremy provides inspiration to Aboriginal Youth who experience institutionalisation from a young age. His story as a young man facing the reality of being lost to a life of institutionalisation and his determination to break free to become a talented Key Note Speaker and Performer is remarkable. Driven by his love of culture and family values, Jeremy contributes to initiatives that strengthen the capacity of Indigenous people to take control of their own lives and destiny. Jeremy has recently joined the NSW Indigenous Chamber of Commerce Board because he believes the Chambers work as invaluable to enabling Aboriginal and Torres Strait Islander people and communities to control their own destinies through the operation of sustainable enterprises. He is also a proactive supporter of the First Australians Chamber of Commerce and Industry (FACCI) as a Peak Body focused on supporting the aspirations of all to operate a business. 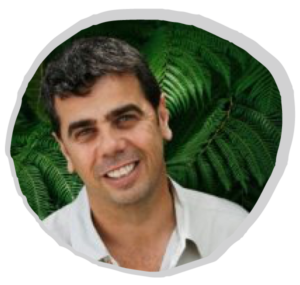 Jeremy is a Director for the Australian Indigenous Art Trade Association Limited, the Australian Literacy & Numeracy Foundation, Five Bridges Ltd and runs his own business, Walking with Wisdom. For the past six years, he has been an Ambassador for the Australian Literacy & Numeracy Foundation. As the previous Chairperson for the Aboriginal Centre for the Performing Arts and CEO of Generation One, Jeremy demonstrates his capacity to lead in diverse environments. Recognised internationally for his talent as a cultural performer and educator and a captivating Key Note Speaker, Jeremy is one of Australia’s most humble talents. Today, he is sort after as a consultant by Government Agencies seeking to improve programs and policies affecting Australia’s First People. Doctor Dennis Foley is a proud descendent and Elder of the Gadigal people, well known and valued for his intrinsic knowledge of his Mothers Country. Professor Foley is another highly valued member of the Chamber’s team providing knowledge and guidance in the delivery of all projects. Dennis researches and teaches across numerous academic fields related to Indigenous Australians. His main research focus is towards the emerging discipline of Indigenous enterprise and entrepreneurship. He currently teaches at the University of Canberra in Australia and Bhutan. Dennis’ career within the tertiary education sector began in Queensland researching an Indigenous Career and Employment strategy at Griffith University followed by the establishment of the first Australian Indigenous Degree program in Contemporary Australian Indigenous Art. At Swinburne University in Melbourne, he wrote the first undergraduate subject on Indigenous entrepreneurship that continues to be successfully taught. Several teaching appointments followed including teaching MBA, Indigenous Land-Use Management Practice at the University of Queensland, Business and Management courses at the Australian Catholic University, and teaching Humanities, Education and the Arts at the Universities of Queensland, Sydney, Queensland University of Technology and the University of Hawaii, as well as Financial and Strategic Management at Swinburne University. Prior to joining the tertiary education sector, Dennis held middle to senior management positions within the banking and finance sector. 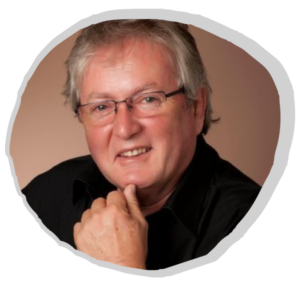 Dennis has written units of study at Undergraduate and Postgraduate levels, including Indigenous Politics, Land and Culture, Aboriginal Literature and Language.. He has also owned and created several small businesses enterprises in the services and retail industry. In line with his key research focus, Dennis wrote the first Australian university course in Indigenous Entrepreneurship. Doctor Foley is a Fulbright Scholar and dual Endeavour Fellow. His publications focus on social inclusion and cross disciples such as Indigenous Literature, Indigenous History, Indigenous Studies, Business Management (Entrepreneurship) and Indigenous Epistemology and Pedagogy. Dennis identifies as Koori. His matrilineal connection is Gai-mariagal of northern Sydney, and his patrilineal connection is to the Wiradjuri people of the Turon River region. 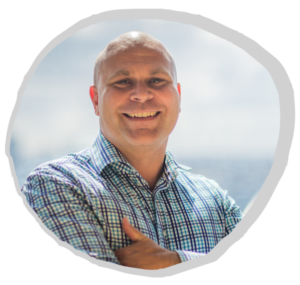 He is active within the Indigenous community and Indigenous business associations within Darug circles and the NSW Indigenous Chamber of Commerce. He has also received several ministerial appointments to state and federal Advisory Committees and currently researches in Canada, Ireland and Aboriginal Australia. After finishing with the Australian Defence Force Liam began a career in Health through joining New South Wales Ambulance as an Intensive Care Paramedic providing care to patients in an out of hospital settings. Through this role, he has developed a strong interpersonal skill set, an ability to make important decisions quickly and built strong personal and professional relationships with all levels of healthcare professionals as a part of a multidisciplinary approach to care. Passionate about Indigenous health and how we can affect real change both currently and by doing things better for future generations. As a business owner, he has built relationships with government and corporate clients, driving partnerships that facilitate opportunity for Indigenous people and a deep belief that government and private sector partnerships will play a bigger role in delivering social and financial outcomes to the community as a whole. It is a perfect environment for strong leaders and change adapters to deliver sustainable outcomes that benefit Indigenous people – Indigenous health in Indigenous hands. Integrity Health & Safety is an Indigenous owned company that works closely with clients to offer the best of Health and Safety innovation. Through partnership with market leaders, IH&S supports Indigenous education, employment and career progression in health. Integrity Health & Safety works with a number of Federal, State and Local Governments, Other Government Agencies, Non-Government Agencies, Not-for-profits and ASX listed Companies. Integrity is a member of Supply Nation, the New South Wales Indigenous Chamber of Commerce and the Australia Israel Chamber of Commerce. As founder and CEO, he has led the company from a community-based start-up to a long-term success story and best practice example. Liam has also provided significant input into future Indigenous health policies and Indigenous procurement policies at a federal, state and local level. Kate Kelleher is a proud Palawan Trowunna woman originating from the Cape Portland (Trawlwoolway) Tribe, Pyemairrenner Nation, in North Eastern Tasmania. Kate worked mainstream until 2011 when an opportunity arose to undertake an Interim CEO role in Canberra for the National Aboriginal Community Control Health Sector (NACCHO) representing one hundred and fifty Aboriginal Community Controlled Health Services around the nation. This experience and exposure led to engagement in various areas of Aboriginal & Torres Strait Island health. A major part of Kate’s working life consisted of a long-standing career in the public sector, working up through the ranks to serve as a Regional Manager in Australia’s social security system for six years in two states. This was followed by twelve years in the private sector as a practitioner in the International Education Export Industry. Kate has interfaced with overseas students and stakeholders from across the Globe, involving on and off-shore experiences and extensive travel throughout the Asian-Pacific region. Drawing on the diversity and richness of these experiences, Kate demonstrates a firm understanding of workplace challenges. She has a unique ability to relate to people from all walks of life bringing a richness of connection with people from diverse backgrounds and cultures, resulting in a highly valued skill set in cross-cultural intelligence. Interim CEO at NACCHO; Cultural safety facilitator conducting forums and workshops around the nation on behalf of Lowitja Institute and Menzies; Evaluation of Toronto (NSW) Aboriginal Child & Family Centre (Nikinba); Regional Manager in what was the Department of Social Security responsible for implementation of Government programs, policies and procedures; Director of the International Student Program in a private school for 12 years where responsible for overseas student recruitment and support, marketing, and community integration; Contractor to Symmetra International & Diversity Inclusion. Jamie Love is a highly regarded Aboriginal man and descendant of the Widjabul people in Northern NSW. His mother was raised on Ulugundahi Island near McClean NSW, prior to being removed with her 8 siblings and placed in the NSW Aboriginal Home system (where two died) at an early age. Jamie’s mother and aunts were trained as domestics (housemaids) and his uncles sent to work as farmhands. Jamie’s cultural knowledge has been enriched by his connection to the Yankunytjatjara, having undertaking ceremonial rites of passage and lore with this group who are located in Central Australia (his home community being Mimili on the APY Lands). Combined with his extensive work with communities nationally, he has developed a clear understanding of the differences in these communities and more specifically between traditional and contemporary Indigenous Australia. Commencing as a commissioned officer in the Australian Regular Army in 1992, Jamie has over 25 years’ experience with working in management and leadership positions within State and Federal Government, Private Industry and Aboriginal Controlled Organizations including the areas of Indigenous and external relations, defence, justice (policing and correctional services), employment and training, mining and exploration, health and mental health. 2008 – Nominated for Margret Tobin Award in Excellence in Aboriginal Mental Health. 2009 – Established Prisoner Reintegration and Employment Opportunities Program – gained international recognition as best practice, the program being awarded the SA Attorney General Award in 2013 and nominated for the international HSEC BHP Awards in 2015. 2013 – Awarded SA Premiers Award for Excellence in Community Participation in the Resources Sector for programs developed in mental health, land rehabilitation and pastoral sector training partnerships. 2015 – Established South Australia’s first Aboriginal Business Chamber. 2015 – Inaugural board member of the First Australian’s Chamber of Commerce and Industry. 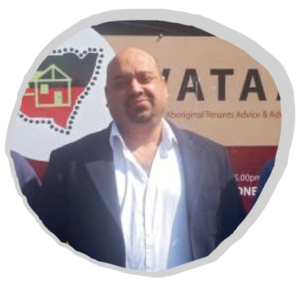 John is a Wiradjuri man from Western NSW with over 30 years’ experience in Aboriginal employment and economic development overseeing Aboriginal employment initiatives in both the private and public sector. John has developed and implemented Aboriginal employment strategies with many of Australia’s leading companies, both privately owned and publicly listed. John has demonstrated extensive knowledge across Corporate Australia on their Aboriginal employment initiatives and activities. 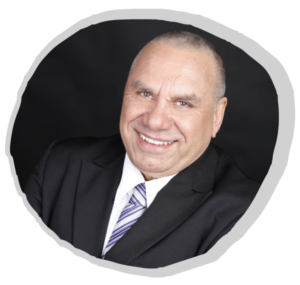 He possesses extensive knowledge of Aboriginal employment programs both Commonwealth and State-based including both the Commonwealth IPP Indigenous Procurement Policy & NSW Government Aboriginal Participation In Construction policy. John was a joint member of the first Indigenous employment panel tender provided by the Commonwealth to select and assess organisations for selection on the “preferred list” of providers to deliver Indigenous employment and training programs. He has an extensive network amongst the Indigenous organisations and communities. This network also includes significant networks across both the Commonwealth and State Governments. Susan’s ancestry is Woolwonga and Gurindji from the Northern Territory. 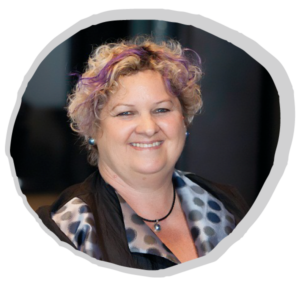 She has extensive experience working with First Australian communities nationally and internationally, with specific expertise in community consultation, empowerment and the facilitation of voice and storytelling. Susan previously held the positions of Executive Producer ABC’s Indigenous Programs Unit and Head of Production, NITV a division of SBS. Today Susan uses her expertise to work with mainstream organisations and communities in the provision of cultural competency and immersion sessions as well as social planning processes. 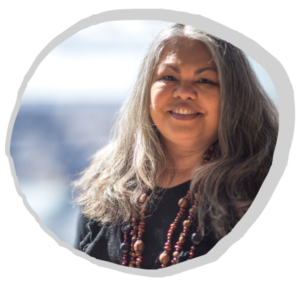 Susan is part of the group known as the Stolen Generations and has lived experience of the trauma associated with removal, loss, dispossession and disconnection. She is one of the founding Board member of the PTSD Australia New Zealand (Fearless Outreach) organisation as well as many community committees in the Northern Sydney Region. Susan is also a Director of her own Company, the Gaimaragal Group established to lead social change and create social impact by bringing together like minds and like spirits. “ We believe that the philosophies and teachings of Australia’s First Peoples, the way of life that has sustained us for tens of thousands of years, is worth sharing, and that in doing so, we can create a new story of connection and wellbeing for all Australians. Our aim is to facilitate the voice for our Elders in the contemporary social space, empower our youth to realise their full potential, and provide two-way cultural translation to bring individuals and communities together. Monty has developed an incredible love for brands by working for some of the world’s best-known agencies on the most famous of accounts. His portfolio includes work for Australian Pork Ltd, Australian Rugby Union, Diageo (Bundy, Stoli, UDL, Johnnie Walker), Heineken, IKEA, Sanitarium (Weet-Bix, Up ‘n’ Go, So Good), Kelloggs (Just Right), Unilever (Flora, Jiff), Colgate Palmolive, Japan Airlines, Mercedes Benz, Qantas, CommSec, Jalna Yoghurt and the U by Kotex “Beaver” campaign. Monty has been honoured in many of the world’s most prestigious shows and in early 2009, Monty proudly led his agency, the Brand Shop, to major recognition in both industry magazines’ “Agency of the Year” awards (B & T and Adnews). After a couple of years of talking about it, finally went out on his own and founded Noble Brands Worldwide in early 2012. Monty has appeared as an industry expert on many TV shows including The Gruen Transfer, Lateline Business, Australia’s Next Top Model and Sky News. He has also served on the board of the creative industry’s peak body AWARD (Australasian Writers & Art Directors) and, as a proud Wiradjuri man, spent several years working towards a better Australia as a board member of All Together Now – a not-for-profit organisation dedicated to erasing racism in Australia. Campaigns included, “Give Racism the Finger”, the Football Federation Australia’s “Erase Racism Round” for the A-League and the “One Parramatta Project” which won the NSW State Government’s Grand prize for Diversity projects. Trevor Satour was born in Alice Springs of mixed Arrernte and Gurindji heritage. He holds an Honours degree in Economics from Murdoch University in WA, and has completed a Coaching Diploma from the Newfield Institute. More recently he trained in the Tribal Leadership Intensive with Culture Sync, and with the Boston-based SoL group’s Leading for Sustainability program led by the acclaimed Peter Senge. 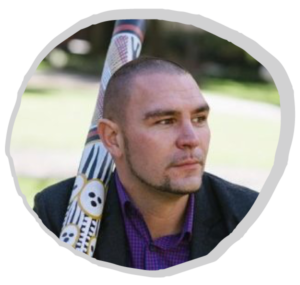 Trevor is a founder of Building Indigenous Capability P/L (BIC) a 100% Indigenous Company with products and services across 3 business lines: consulting, facilitation and training services. BIC is based at Wyong on the NSW Central Coast just north of Sydney. Trevor was born in Alice Springs of mixed Arrernte and Gurindji heritage. He holds an Honours degree in Economics from Murdoch University in WA, and has completed a Coaching Diploma from the Newfield Institute. More recently he trained in the Tribal Leadership Intensive with Culture Sync, and with the Boston-based SoL group’s Leading for Sustainability program led by the acclaimed Peter Senge. Trevor has operated in business for 16 years. He recently delivered IBA business workshops in Victoria, and in South and Central Australia. Prior to being in business, he had stints as: Director of the Centre for Aboriginal Studies at Curtin University (Perth, WA), CEO of the NSW Aboriginal Land Council (Sydney, NSW), and posts in both the Australian and Queensland public sectors. Whilst at Curtin University, he was a member of a select group responsible for developing a Bachelor’s degree program in Aboriginal Community Development and Management at Curtin University – a program that still operates there within the Centre for Aboriginal Studies some 3 decades later. He was also a member of the WA Aboriginal Education Advisory Group a peak body advising the WA and Federal Government on priorities in Aboriginal Education. Trevor is passionate about global diversity and sustainability and helping Aboriginal and Torres Strait Islander peoples develop an economic base by leveraging the power of business through regional, national and global supply chains. As a businesswoman and social entrepreneur, Carol Vale brings to her work insights and experience in understanding the commercial and cultural value that embedding cultural diversity can bring to organizational development and growth. This insight stems from a career that spans almost three decades in government and more recently as the Managing Director of Murawin, a successful consultancy Indigenous business. Murawin expanded their focus in 2016 to establish Game Enough? which brings to the market Australian game-meat and native plant flavored savory, dessert and drink products. Carol grew up on an Aboriginal Mission in Armidale, NSW, where she lived with her extended family and continues to have strong cultural ties to her community and traditional lands of the Dunghutti, Gumbaingirr and Aniawan people. 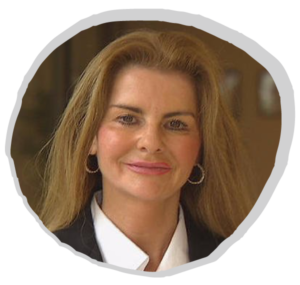 Facilitation: Carol is a Professional Certified Facilitator with the International Association of Facilitators and an active member of the Australian Facilitators Network. Carol’s facilitation practice draws on a variety of facilitation methods to guide those she works with to move through the process. She has a reputation for facilitating strategically and creating culturally safe environments to support challenging conversations. Consulting: Carol has undertaken a range of projects with her clients ranging from small Aboriginal community organisations to government and the NGO sector to corporates. This work has included evaluations, strategic advice, planning and training. Cultural Competency and Leadership Training: Carol designs and delivers a range of professional development training programs to build cultural competencies and leadership capabilities of staff and management. Previously a faculty member of the Australian Graduate School of Management at the University of New South Wales, Carol designed and ran their Aboriginal Career and Leadership Development program for NSW Aboriginal public service employees in middle-management positions seeking to advance their careers. She now does this type of training through Murawin’s Hands of Time training branch. 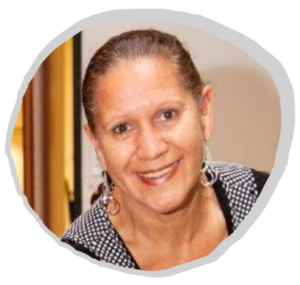 Community Engagement: Carol has played a key roles in establishing Negotiation Tables, Community Working Parties and Consultative Committees in many local Aboriginal and Torres Strait Islander communities in NSW and Qld as well as numerous community development and strategic planning projects. Michael is a descendant of the Gamilaroi Nation from Moree, Mungindi and Texas on his maternal side, a direct descendant of grandfather Rueben (Bengalla) Wright and grandmother Maude Wright (Cubby/Dunn), as most Stolen Generations does not know his whole history. Michael strongly supports the embracing and understanding of diversity, believing appreciation of diversity, brings greater opportunities both here in Australia and throughout the world, this is achieved through culturally respectful engagement. He believes change is inevitable and it starts with the person in the mirror. 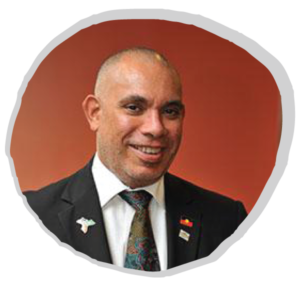 His passion is to help build capacity in Aboriginal or Torres Strait Islander communities, businesses and organisations, utilising networking, negotiation, collaboration & training while retaining a strong culture as the basis. Collaboration with other Aboriginal people with a variety of skillsets is the key to success. 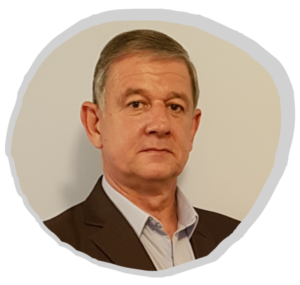 Michael has over 10 years in community organisations, combined with 20 years in state & federal government, in the fields of analytics, projects, compliance and information technology. In 2010 he founded the consultancy “Guwaali” focused on Culture, Economic Development, Diversity and Reconciliation, through education, respect, networking, collaboration and partnerships. Michael is a long-standing member and Traditional Custodian with fellow Metropolitan Local Aboriginal Land Council (MLALC) members, being responsible for the Land, Air, Water, History, Traditions and Culture within MLALC boundaries. Really putting things in perspective in 2010, was participating in a Repatriation Ceremony of Ancestral remains “Stolen” 120 and 140 years ago taken to Europe and England. It was a humbling to be a recipient of the “Respect Award” at the Inaugural “Redfern Community NAIDOC Week Awards” in 2011, remembering it’s all about contributing to community. As a project officer, he helped to establish an ACCHO/AMS based Health Research project with Aboriginal communities around NSW, focused on a holistic approach. Being an artist is practising and continuing my Culture, Traditions and Heritage, which is important to me in being a member of the “Stolen Generations” and burning, is part of my family’s traditions.